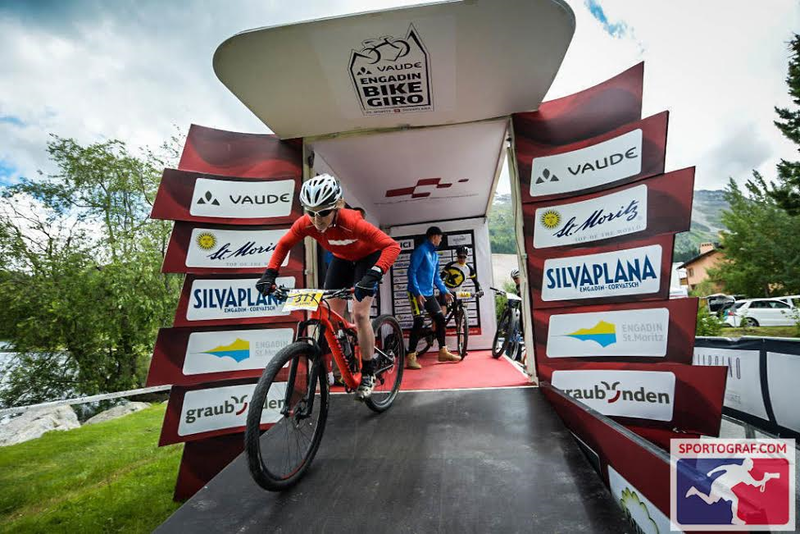 Live your dream and share your passion: The Engadine bike giro; It is what it is. Patience is not my strong side. I want everything achieved preferably yesterday. Not that I am not willing to work hard for something, I certainly am, but the process with set backs and slow improvements I can find very frustrating. 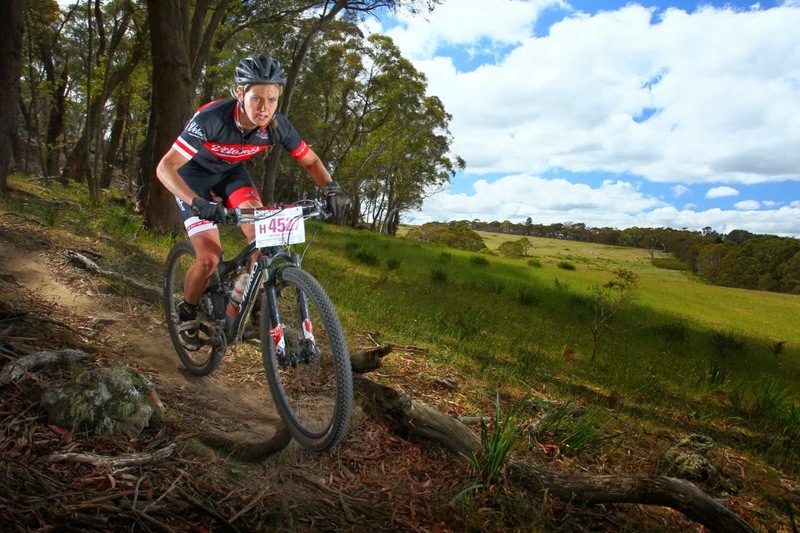 My Australian MTB friend Sarah Riley has been a huge inspiration for me. The way she has come back from a massive injury almost loosing her left leg through an open spiral fracture in her femur has been one to follow. Step by step she has taken everything in her stride, thriving on the small improvements and rationalising small set backs with a healthy attitude. "It is what it is" she smiled after we all came back disappointed with our individual performances after the first stage of the Engadine Bike Giro. When Sarah messaged me she would come and join me and my good friend and Sandy Wallace team mate Naomi to race a 3 day stage race in Switzerland my heart skipped a beat. It had been 2 years since Sarah and I met in the Dolomites racing the MTB Marathon World Champs and we had become closer ever since. We kept an eye on each other through injury and disappointments and had been supporting each other where we could. It was one of those rare connections which withstood the distance between us and lack of direct physical contact with her living in Australia and me in Scotland.When she greeted me and Naomi at the chalet in Silvaplana it was as if I had seen her the day before. Not having to travel alone made it so much more fun! Leading into the race I had been starting to feel stronger and stronger with my back handling most things I threw at it. Except running. After I stubbornly disobeyed physio Dave and took my legs out for a little treat on the trails without the bike, I suffered. Enough to give me a bit of a scare and sticking to the plan of no running. Physical pain however, I found easier to deal with than my struggle with fatigue. I could ride through pain, it had almost become second nature with the injuries I have had. But having no energy got me down. It made me feel weak and I had to resist the desire to fight it. Coach Rab got me to start measuring my HRV again, a way to measure parasympathetic fatigue and prevent overtraining. "You will always do every thing I ask you to" "and a little more" he said "I have to hold you back"
Out of experience I knew that a 4 day trip with 3 days of racing whilst working till the last minute was going to be a big ask of my body. I never recovered well from travelling. And I had not incorporated the high altitude we were racing at in the mix. When I saw the race on the calendar I really wanted to do it, a problem I have been struggling with. I wanted to have the energy to be able to do it all regardless of my busy lifestyle. So off I went anyway hoping for the best. A delayed flight, 2am arrival in Milan, a 2 hour wait for our rental car and the stress of loosing my passport in the process did not help the situation. In between bike racing there were phone calls to the Dutch Embassy, a trip to the police for a lost passport declaration and the never ending trouble explaining why a Dutch citizen born in Italy is living in the UK. On top of all this the weather was atrocious with snow forecasted on the higher mountains, single digit temperatures and thunderstorms. My enthusiasm to race dropped with the temperatures. It was so lovely to hang out with Naomi, Sarah and to get to know Sarah's husband Murray that I tried to stay positive and not give my lack of energy or the bad weather forecast much time. It will be fine I thought, a good night sleep will fix it.But waking up dizzy on Friday morning with an HRV in the red zone (meaning rest) was what happened. That afternoon we had to race an 17km TT with close to a 1000m of climbing going above 2500m. My worst nightmare even when I felt fighting fit. All I could do was do my best and doing my best is what I did, with a completely empty tank and a terrible result. All three of us struggled with the hill TT but as with most mountain bike races, stories of cool downhills, impossible climbs, near death experiences and crazy competition were told at the end of it and our bad form made this no exception. My highlight of the day was cycling down the ramp at the start with my name being yelled (albeit it a made up version of pronunciation) I had never done this before, and I felt like a true pro! What a buzz!! I was really worried though, it had taken me such a long time to overcome my parasympathetic fatigue syndrome that I feared returning back on that slippery slope downhill. At the same time I felt I needed this experience in my lead up to the Himalaya stage race in October. Sarah and Murray comforted me saying I was most likely suffering from the high altitude. My resting heart rate was about 20 beats per minute higher than normal and my energy levels were at an all time low. It has to be ok I thought. Full with doubts I stood on the start line for stage 2, 78km with 2500m of ascend. 10 minutes after starting I knew I had absolutely nothing. I could not breathe, and had no power. The following 10 minutes I had an internal debate with myself deciding what to do. This was going to be a tough day in the saddle, the easiest option was to pull out and find my bed and sleep. Oh sleeeeeeep. I thought. What a nice thought, I could fall asleep right here, right now on the bike. Zzzzzzz. No, I decided. I am going to do this. Riding as slow as I possibly could I thought and I did. Taking pictures along the way, petting baby horses on the trails and making new friends with fellow battlers. I struggled the whole 78km with my heart and lungs simply not playing the game. The views were spectacular however and I tried to take in the whole experience. The top descent was absolute bliss and I tried to enjoy every minute of it. Naomi, bless her, waited patiently for me at the finish line. Back at the chalet we were all a bit disillusioned with how bad we were performing. "It is what it is" said the always positive Sarah. At this point I really doubted if I should start day 3 and felt really down about it. Rab and I tried to decide what the best thing to do was. "If you think you can have a fair to good race, ride" he said but I knew I had neither in me. I ate as much as I could and went to bed early. Day 3 came along and my HRV was at an all time low. I was not the only one who felt uninspired "not sure what the point is" mumbled Murray when we were awaiting the dreaded start. "Look at you guys" laughed Sarah. "I really don't know if I should do this" I said to Naomi. "Let's ride together" she answered. "See it as a day out" "we can drop out at the first feed zone if we don't feel well" And a plan was made. The full stage was 62km with 2000m of ascend. We escaped out of the elite line up and joined the back of the pack, which in Switzerland means "just as fast as the elite"
I could not thank Naomi enough for staying with me during the final stage. Again I had nothing in the tank and as a true friend and team mate she selflesly stuck with me until the very end. 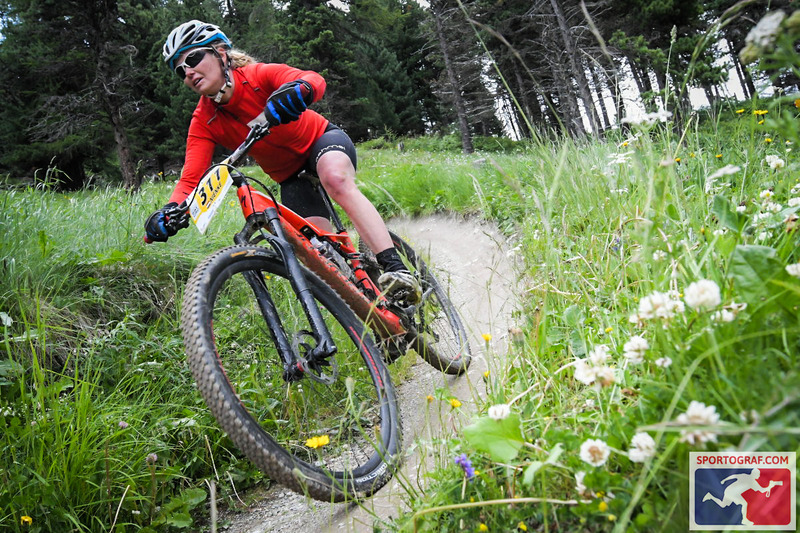 She waited for me 500m from the finish line so we could ride over it together "you did not have to wait for me " I smiled at her knowing she would have bombed down the final crazy rocky gnarly single track descent. Whilst I managed to twist my handle bars around my frame missing a corner in an attempt to imitate Rachel Atherton. 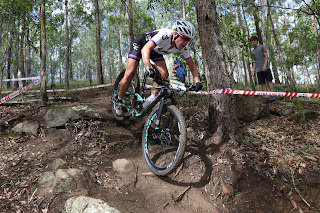 "who puts such a nasty technical trail in the final 3km of a 3 day stage race" I angrily mumbled to myself. "This was the plan we made wasn't it? Start together, finish together" Naomi smiled back at me. Although this was a performance to forget about straight away, the satisfaction of beating my body with my head was huge. Sarah and Murray both had very good races on the final day and we all managed to turn a negative race experience into a positive one. "So good we all managed to turn it around on the final day" Sarah smiled. The fatigue I felt was still concerning me, not quite understanding why my body had let me down so much when it had been so promising the last few months. "It's the altitude" Sarah kept reinforcing. Having Naomi by my side from beginning to end of this trip was a great support. Something which will stick for a long time to come. On the way back to the airport in Milan, we made a little detour to the embassy to pick up an emergency passport and travelled to Varese where I was born. It was hard to explain what it meant for a gypsy like me to share that with a friend. I had not been back here for years. We drove through the little streets where I grew up, past all the familiar sights all the way to the street where we used to live. It was truly a special experience sharing this all with Naomi. What a crazy three days in the Alps it had been with the most loveliest people I could have wished for to share these brutal days of racing. Whilst I was sitting on the plane writing this blog and turning my jacket inside out in search for my ear phones, I felt something in the sleeve pocket. And there it was my shiny red passport! 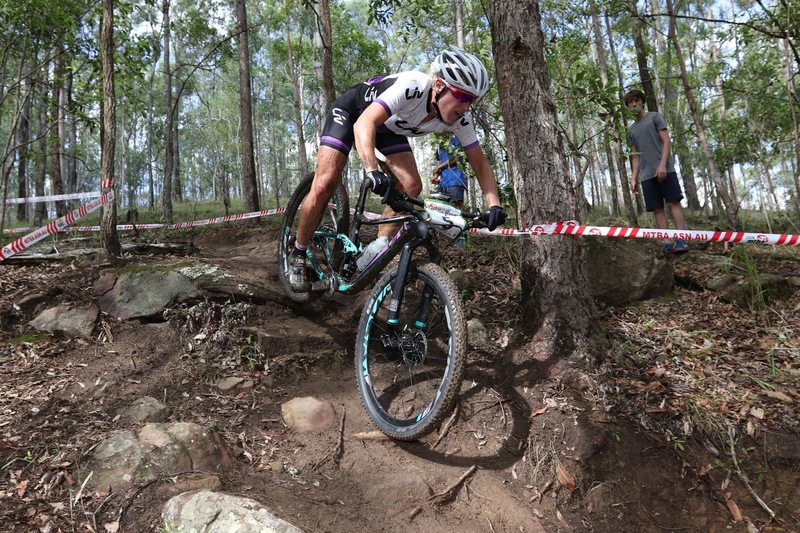 Bike racing, it is never all about the bike. A huge thanks to all involved who made this another experience to remember, Sandy Wallace Cycling for sorting out my bike and ashmei for providing me perfect warm kit to race in.